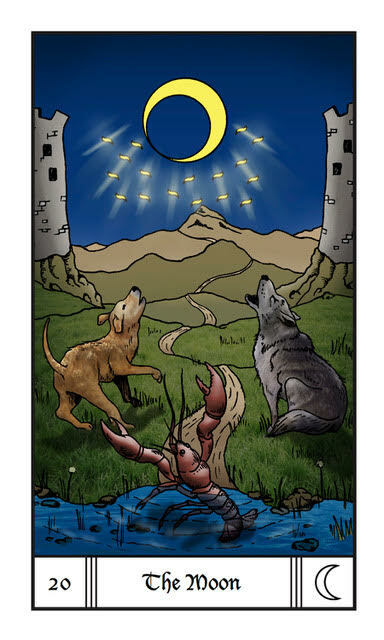 It’s the 30th week of the year and the card of the week is the 6 of Pentacles. This is a card of of give and take. Sometimes you’re up and sometimes you’re down. When you’re up, help those who need it. When you’re down, accept help graciously. This week Mercury enters His Pre-Shadow period so ups and downs may start rolling in. Flow with them and don’t fight it. Mercury will station Retrograde in Virgo on 8/12/17 and station direct in Leo on 9/5/17, so for most of this Mercury Retrograde, little flaws in the details could cause things to come crashing down. More than ever, give yourself extra time to do everything you need to do and don’t be embarrassed to ask for help if you need it! The number of the week is 3, a number of things coming together even if there are some disruptions. Mantra: Life is like a see-saw with its ups and downs. 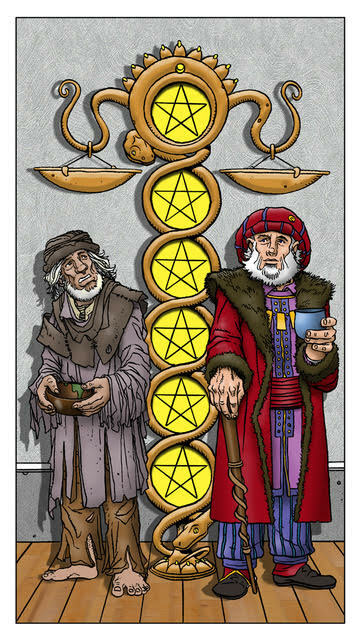 It’s the 30th week of the year and the card of the week is the 6 of Pentacles. The World is a card of things coming full circle and endings becoming beginnings. Things are wrapping up and nearing completion. Moon sextile Jupiter at 3:58 AM PST is an optimistic, upbeat card that brings generosity and good cheer. Venus opposition Saturn at 7:53 AM PST is a transit that reminds us that sometimes we just have to grin and bear it. That’s just the way things are. Mercury trine Uranus at 9:32 AM PST is a transit that brings the ability to dig deep and achieve a better understanding of yourself. Moon trine Saturn at 1:53 PM PST ties all of these feelings together with a sense of duty and allows you to once again accept all the things you cannot change. Moon sextile Venus at 2:26 PM PST will bring love and creativity to your afternoon. The Moon is in the fierce sign of Leo keeping the fire from the weekend burning bright. Mercury also enters His pre-shadow period today so don’t be surprised if electronics begin to act fussy and delays become more frequent. Mercury stations Retrograde on 8/12/17 so this is only the beginning. The number of the day is 5, a number of overcoming hardships. The Moon is a card of mystery and intrigue. It is a card that points to what is seen but also what is unseen. It can point to deception but also the need to recognize your shadow side as well. Moon trine Uranus today at 12:58 AM PST is a transit that brings the desire for something new and exciting. Whatever you to today will be good for you as long as you don’t let boredom sit in. Mercury enters Virgo where he will stay until 08/31/17. When Mercury is in Virgo, people tend to stress out easily, especially if the details aren’t in place. This tendency toward stress could lead to pessimistic attitudes because the bar will be raised with an emphasis on accuracy and precision. However, this can be avoided if the mind is kept busy. Challenge yourself and expand your mind to get the most out of this time. The Moon goes void of course in Leo at 2:22 AM PST. 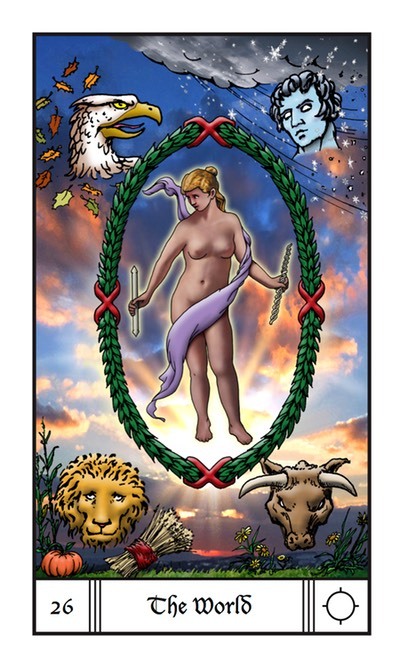 Then she will enter the picky sign of Virgo at 3:32 AM PST. With all the Virgo energy in the air and the Moon being the card of the day, it would be in your best interest do things right and avoid taking shortcuts. The number of the day is 6, assuring you if you do things well, you’ll come out on top. Mantra: Details paint the big picture. The 7 of Cups is a card of day dreams. What if you could have anything you imagined, what would it be? Have fun with your imagination today and pick your direction tomorrow. Moon opposition Neptune at 3:37 AM PST is a sensitive transit that skews perceptions. Don’t get caught up in disillusions brought on by insecurity. Moon trine Pluto at 10:27 AM PST is a transit that brings the truth to the surface. Outbursts that occur will be for the better in the long run. Be active or be angry with Sun conjunct Mars at 5:57 PM PST. However, beware of accidents under this transit as well. Keep exercise light and all risky behavior to a minimum. Moon square Venus at 11:31 PM PST will bring lazy energy to you late night. Relax and take it easy after the high impact energy in the early evening. The Moon is in the detail oriented sign of Virgo all day but goes void of course at 11:31 PM PST, reminding you that achieving your dreams takes patience and planning. Mantra: Everything starts as a dream. Yesterday was a day of dreaming. Today is a day of action. 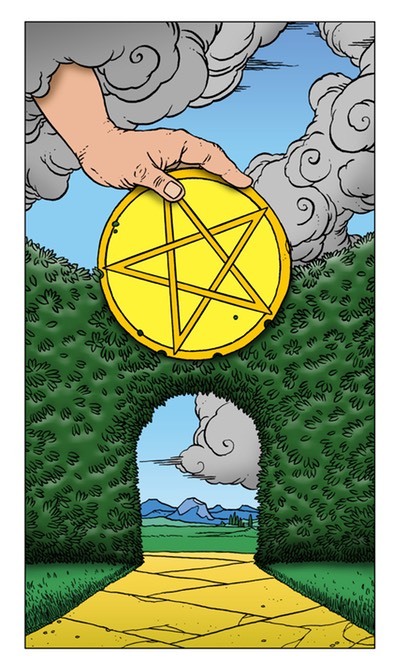 The Ace of Pentacles is a card of new beginnings in abundance and encourages to take the steps needed to make yesterdays’ dreams today’s reality. Moon sextile Mars at 5:32 PM PST is a transit that will lend the confidence you need to set your sights on your vision and take the action you need to get there. Moon trine Pluto at 10:27 AM PST could cause outbursts that bring the truth to the surface. It’s better to face these turths now than let them go unsaid. Moon sextile Sun at 6:08 PM PST is a transit of happiness, harmony and flow. Just go with it. The Moon is void of course in the picky sign of Virgo until 8:37 AM PST when She enters Libra. When the Moon is in Libra, expect fairness to be at the forefront of every decision. The number of the day is 8, a number of karma. Mantra: What you do comes back to you. The 10 of Swords is a card of finality. 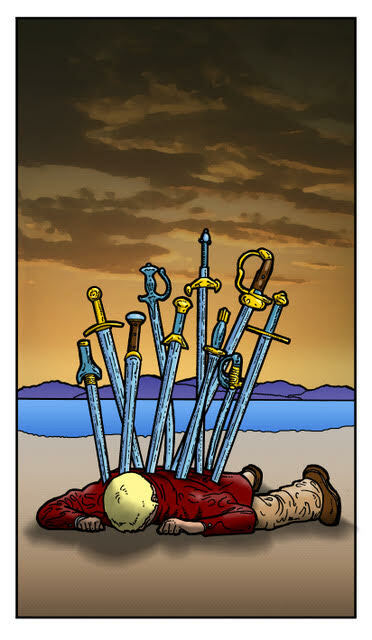 Like the Death card, the 10 of Swords shows that there is no coming back from the feeling of betrayal you experienced. But the sun is coming up and there’s promise that things will get better from now. If you need time to heal, it’s OK to lay down but don’t lay down and die. A new day awaits you when you’re ready to face the sunrise. Moon conjunct Jupiter at 3:35 PM PST brings optimism if you feel like you’re in need of a change. Moon square Pluto at 5:37 PM PST is a compulsive transit that brings the honesty you need to rind yourself and what you really want. The Moon is in the karmic sign of Libra all day reminding us that it’s time to be done with those who do not care about you. The pain they caused you will come back on them in time. The number of the day is 9, a number of near completion. Mantra: I use the knife you left in my back to cut my ties with you. 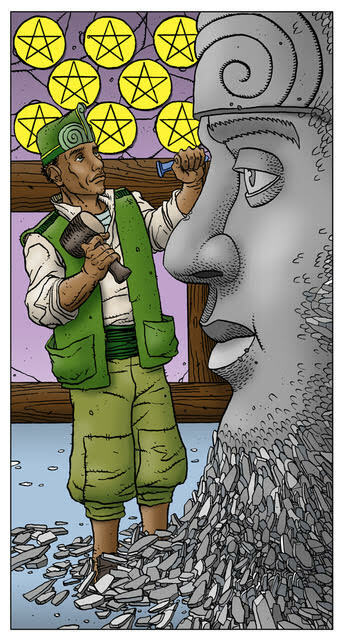 It’s time to get down and get to work with the 8 of Pentacles. Focus your energy on what you want to achieve and you will be well on your way. Moon sextile Saturn at 1:26 AM PST is a transit that brings self doubt. Know that you can do anything you set your mind to. Moon trine Venus at 1:25 PM PST is a social, happy, transit that will help you find joy in whatever you do but watch out for storm clouds with Moon opposition Uranus at 2:30 PM PST. This transit can cause disagreements in relationships. Focus on your work to avoid useless arguments.The Moon starts the day in the fair sign of Libra where she goes void of course at 2:30 PM PST. The Moon enters the vicious sign of Scorpio at 5:23 PM PST so remember, not everyone plays fair. The number of the day is 1(0), a number of new beginnings. 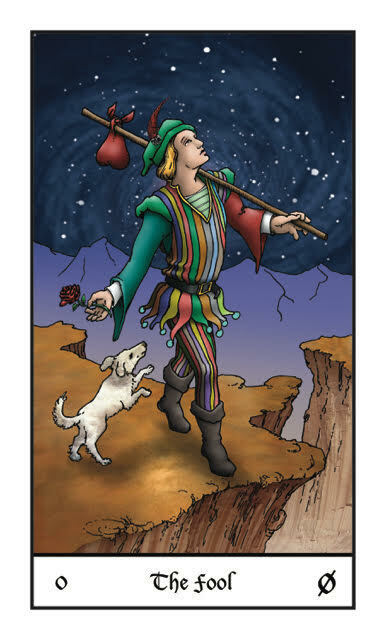 The fool appears when a new journey is about to begin. Take the leap and dive into the unknown. Adventure awaits! Venus sextile Uranus at 1:03 AM PST is a fun, exciting transit that will bring new, interesting people into your life. Although the relationships may not last long, the effects of these relationships will. Moon sextile Mercury at 2:21 AM PST is a transit of flowing communication. Surround yourself with good company today. Moon square Mars at 6:02 AM PST is a transit that brings arguments and disagreements. Avoid pettiness if possible. Moon square Sun brings the First Quarter in Scorpio. If you encounter obstacles that are standing in the way of the intentions you set for New Moon, look at what you could be more open and honest about. Moon trine Neptune at 8:30 PM PST is a psychic, intuitive transit that encourages you to follow your intuition on this new journey you’re embarking on. The number of the day is 2, a number of balance. This entry was posted in art, Astrology, dreams, Evolutionary Tarot, Mercury Retrograde, mysticism, mythology, Neptune Retrograde, numerology, occult, Pluto Retrograde, Saturn Retrograde, self help, spirituality, Tarot, tarot class, witchy, Writing and tagged abundance, art, astrology, card a day, divination, dreams, empowerment, inspirational, mantra, meditation, Mercury Retrograde, metaphysical, motivational, mysticism, numerology, occult, pagan, predictions, psychic, qabalah, self empowerment, self help, spirituality, tarot, tarot reading, tarot weekly forecast, wicca, witchcraft, witchy, writing. Bookmark the permalink.